Do you need that perfect photo for your next blog post or email campaign? I recently stumbled upon Unsplash which is a free stock photography resource. Whether you are looking for a image that is business, computer, or nature related – look no further! Find beautiful, free photos at Unsplash. Looking for a quick online photo editor? You need to check out Fotor, an online photo editor that lets you make collages and basic edits. If you also want to design a photo card or make a banner, than this is your spot. The mobile app works great too! If you are looking to brighten up your day look no further than Jpegy! The site is updated daily with images that are funny, viral, inspirational and geeky to help you waste time online. The site features images that are categorized: cute, geeky, LOL, fandom, epic fail, MEME, WTF, comics, good eats, cosplay, animals and artsy. Parental warning that some images are not suitable for children. Looking for a free picture editor? You need to check out Pic­Mon­key. The picture editing service shares sim­i­lar features of Pic­nik because the same creators of Picnik are the brains behind PicMonkey. You may remember Picnik was the pop­u­lar photo edit­ing ser­vice that Google purchased and clos­ed down in April. Pic­Mon­key is bet­ter than ever. It’s faster, more pow­er­ful, and eas­i­er to use than Picnik. The only downside is that the site requires flash so it doesn’t work on an iPad or iPhone. The technology of taking a picture hasn’t theoretically changed in over 100 years until now. Lytro has reinvented the camera with the light field capturing method. The site says, “Lytro camera captures the entire light field, which is all the light traveling in every direction in every point in space.” You will never take a bad picture again (unless your eyes are closed). You never have to focus. A light field is the amount of light traveling in every direction through every point in space. Conventional cameras cannot record the light field. 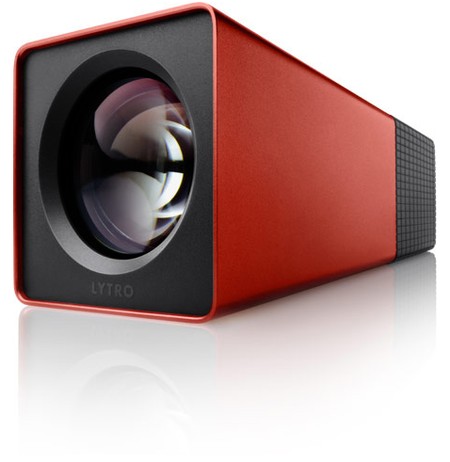 Lytro camera processes the light so you can always have beautiful pictures. Thanks to Mike Kimmel for the find.